Scott Kim is a Senior Investigator in the Department of Bioethics, National Institutes of Health and an adjunct professor of psychiatry, University of Michigan and adjunct professor of neurology, University of Rochester. Previously, he was professor of psychiatry and co-director of the Center for Bioethics and Behavioral Sciences in Medicine at the University of Michigan. Dr. Kim received his MD from Harvard and PhD in moral philosophy (on Kantian ethics) from the University of Chicago, and trained in adult psychiatry at the Massachusetts General Hospital. 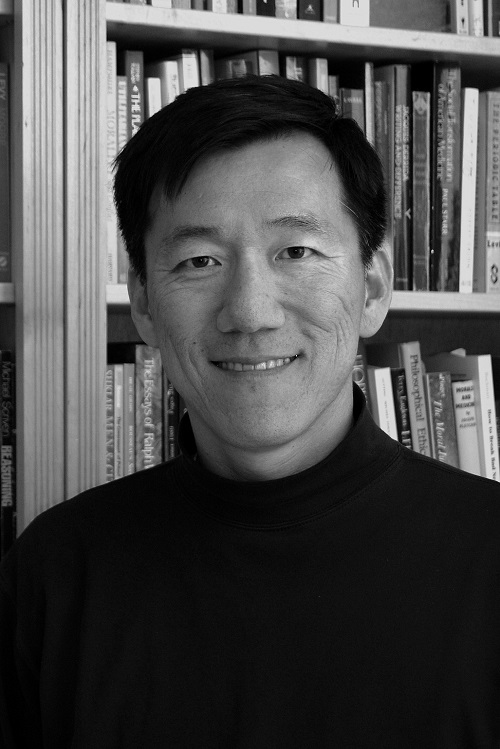 Dr. Kim combines philosophical, clinical, and empirical research approaches to his scholarly work, using a variety of methods to address several bioethical topics, including: ethical issues in pragmatic clinical trials, assessment of decision-making capacity, surrogate consent for incapacitated patients, theory of informed consent, end of life issues (including physician aid in dying), and a variety of other topics in research ethics. Dr. Kim’s work has been supported by the NIMH, NINDS, NIA, NHGRI, Michael J. Fox Foundation, American Association for Geriatric Psychiatry, and the Greenwall Foundation. His work has appeared in New England Journal of Medicine, Nature, JAMA, and other key journals. His book Evaluation of Capacity to Consent to Treatment and Research (Oxford, 2010) was recently translated into Japanese. More information can be found at scottkimbioethics.org.